In general, schematics is the 5th order Chebyshev inductor-coupled BPF. 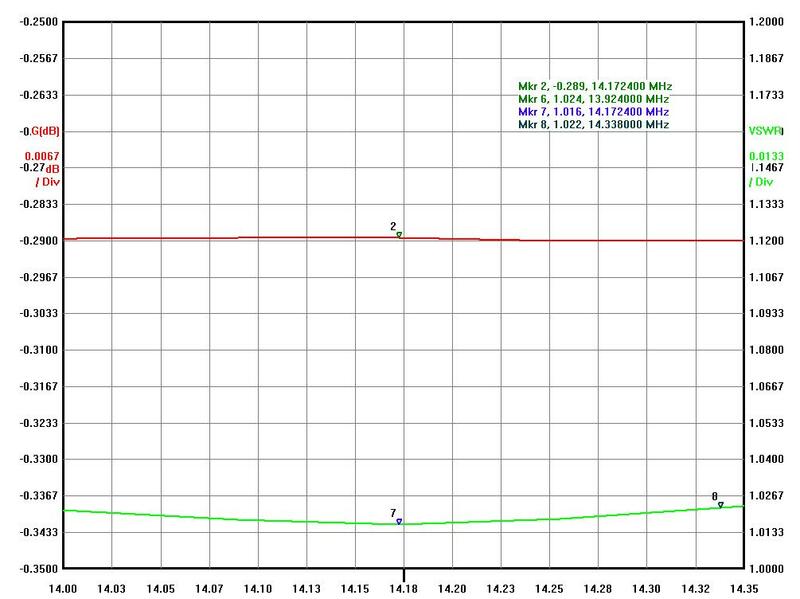 20M band BPF is the best performer by all numbers: high band isolation, low loss and a perfect impedance matching. Band-pass for VSWR by level of 1.2 is more than 3MHz wide and by level below 1.1 is almost 2MHz wide. Zs is another good parameter to know. It should be as close to 50 Ohm as possible. 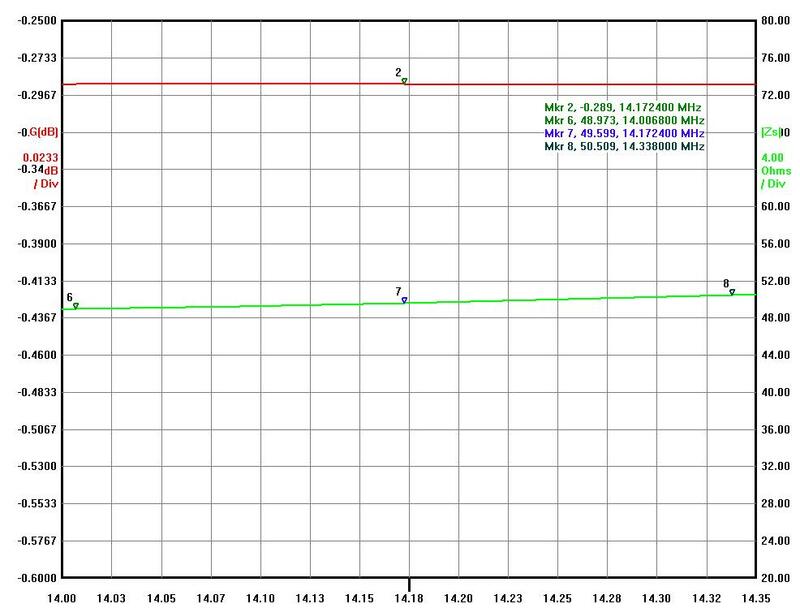 Please, see a graph below of the Triplexer and 20M BPF connected as a whole Tribander set. 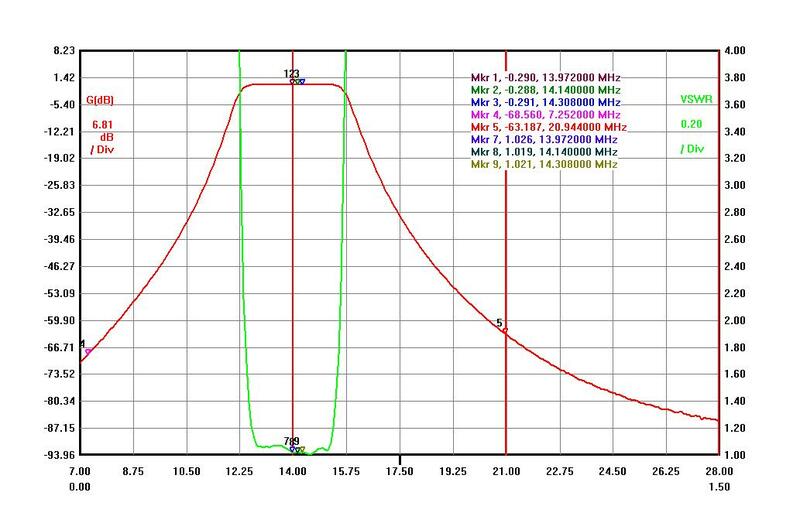 The next graph below is for 20M BPF and Triplexer together when other triplexer band ports connected not to a perfect 50Ohm load but to real 10 and 15 meter BPFs. 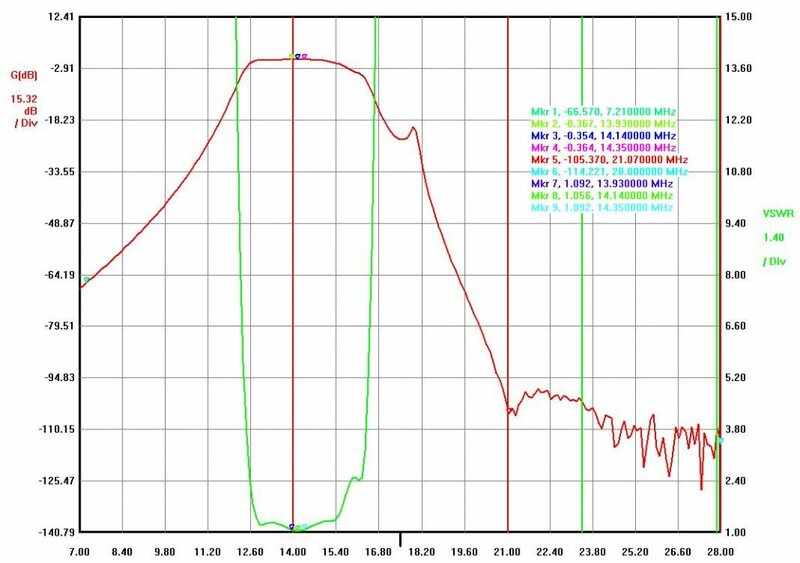 Now, when Triplexer connected to other BPFs the 20M graph is a little different because real BPFs are not a perfect 50 ohm loads and have their own reactances. I should mention that no parameters influenced by this, SWR and Isolation level are still good. 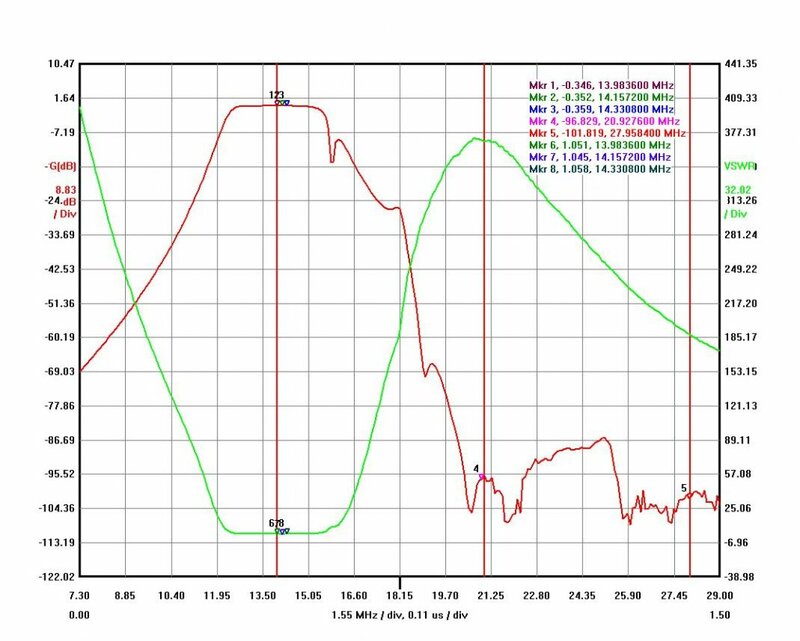 This 20M BPF together with Triplexer was a very good performer without overheating with 3000 watt applied , with low Insertion Loss and well below -90dB of an adjacent band isolation level. Doorknob capacitors used allow to use it up to 4500-5000 PEP output power but I was able to test it with 3000 watts. 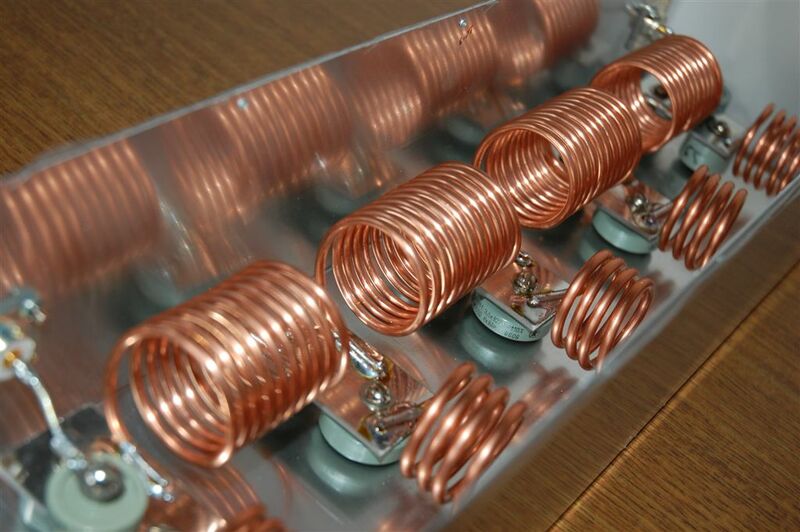 Below, all three BPFs for 10, 15 and 20 meter bands to be used with the triplexer.